Leading Forex broker FXTM has just announced that it has appointed Tan Chung Han (Han Tan) as a new Market Analyst of the FXTM Market Research team, with a focus on Southeast Asia (SEA). As a new member of the FXTM Market Research team, Han will act as the voice and face for the FXTM brand within the Southeast Asia (SEA) region, providing regular market commentary on both local and international market news, and educational insights for all broker’s clients. “We are very pleased to welcome Han as the latest member of the FXTM family. Our company continues to grow at a rapid pace, as our brand expands its global footprint. The credible experience and profile of Han fulfils many core values of the FXTM brand and we look forward to the contribution of Han towards providing a client-centric approach with high-level market analysis and overall investment in client education. We have planned over 200 educational events globally this year, and Han will help execute some of our ambitious and ever-evolving educational offerings. We wish Han every success in his new role”. The FXTM or Forex Time company launched in 2011 with its headquarters in Cyprus (Limassol) has been named as one of the world’s fastest growing brokers. The broker establishes its core on reliable trading conditions and detailed education and brings trading across the world with its accessible trading around the globe, regardless of the trader’s knowledge. You can check our full FXTM review here. CySEC has reached a settlement with CIF Hoch Capital Ltd. The Cyprus Securities and Exchange Commission (CySEC) announces that it has reached a settlement with Cyprus Investment Firm Hoch Capital Ltd. This firm operates the brand iTrader. The firm has agreed to pay €200,000 related to a compliance investigation started by the regulator. The iTrader has operated since 2012 and gained a reputation for success, leading to a stable base of worldwide users who make thousands of trades every month. The company headquarters in Cyprus, while holding internal lines of various countries for direct connection with their clients, the lines include Russia, Spain, Germany, France, UK, Italy, UAE, Norway and more. You can read our full iTrader review here. A settlement has been reached for possible violations of The Investment Services and Activities and Regulated Markets Law. More specifically, the investigation for which the settlement was reached, involved assessing the Company’s compliance with the general principles for the performance of investment activities and the general principles and information to clients. CySEC notes that all amounts payable from settlement agreements are considered revenue of the Treasury of the Republic and do not constitute income of CySEC. The Cyprus Securities and Exchange Commission, better known as CySEC, is the financial regulatory agency of Cyprus. It supervises and controls the operation of the Cyprus Stock Exchange, grants operation licenses to investment firms, including investment consultants, brokerage firms, and brokers, impose administrative sanctions and disciplinary penalties. 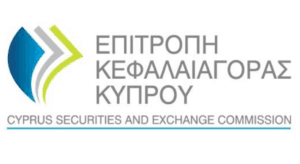 You can read the detailed article about the Cyprus Securities and Exchange Commission here. 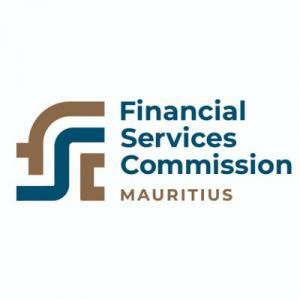 Posted in BrokersLeave a Comment on CySEC has reached a settlement with CIF Hoch Capital Ltd.
Forex broker FXTM has recently announced that it got a license from the Financial Services Commission (FSC) in Mauritius. The FXTM brand is also regulated through the FCA, CySEC and the FSCA which are amongst the most stringently regulated financial authorities. The FXTM or Forex Time company launched in 2011 with its headquarters in Cyprus (Limassol) been named as one of the world’s fastest growing brokers. The broker establishes its core on reliable trading conditions and detailed education and brings trading across the world with its accessible trading around the globe, regardless of the trader’s knowledge. You can check our full FXTM review here. UBS has been found to have failed to ensure it provided complete and accurate information in relation to approximately 86.67 million reportable transactions. It also erroneously reported 49.1 million transactions to the FCA, which were not, in fact, reportable. Altogether, over a period of nine and a half years, UBS made 135.8 million errors in its transaction reporting, in violation of FCA rules. The Financial Conduct Authority (FCA) is a financial regulatory body in the United Kingdom, but operates independently of the UK Government, and is financed by charging fees to members of the financial services industry. The FCA regulates financial firms providing services to consumers and maintains the integrity of the financial markets in the United Kingdom. You can read a detailed article about why traders should choose UK brokers. The Cyprus Securities and Exchange Commission (CySEC) has announced that it has reached a settlement with Colmex Pro Ltd, a Cyprus investment firm. The settlement reached with the Company, for the possible violations, is for the amount of €50.000. The Company has paid the amount of €50.000. It is noted that the amounts payable from settlement agreements are calculated as revenue (income) to the Treasury of the Republic and not as an income for CySEC. According to the official notice, a settlement has been reached with the Cyprus Investment Firm ColmexPro Ltd for possible violations of The Investment Services and Activities and Regulated Markets Law of 2007, and of the Directives issued thereof. More specifically, the investigation, for which the settlement was reached, involved assessing the company’s compliance with the articles, according to which a Cyprus Investment Firm (CIF) must, at all times, comply with the conditions under which authorisation was granted, and relating to conduct of business obligations when providing investment and ancillary services to clients. Colmex Pro operates on global currency markets since 2009. During seven years of operation, Colmex Pro trading has grown to a major global provider of online CFDs, Shares, Forex, Commodities and Indices trading. And with reliable CySEC regulation, low fees, and round-o-clock multilingual client support the broker has settled itself among the leaders in the industry. OctaFX has confirmed that it got licensed by the Cyprus Commodities and Exchange Commission (CySEC). This license will allow the broker to operate an EU-based subsidiary and work with EU residents. According to the regulator’s register, OctaFX will be operating in Europe under the domain www.octafx.eu. OctaFX is currently owned and operated by Octa Markets Incorporated, a company registered in St. Vincent and the Grenadines. Initially an offshore broker, OctaFX had a UK entity with an FCA license, however it was suspended in April 2017. It seems like the brokerage has decided to relaunch EU operations via a Cypriot company (Octa Markets Cyprus Ltd.). You can read our full OctaFX review here. The new regulatory framework introduced last year in August across the EU forex market has reshaped the whole retail forex industry and as a result, a lot of brokers have switched offshore. Those companies who wish to continue operating in Europe will most probably go through a licensing process in either Cyprus or Malta, as OctaFX already did. According to the license type, OctaFX will be allowed to offer investment services (including reception and transmission of orders in relation to one or more financial instruments; Execution of Orders on Behalf of Clients; Dealing on Own Account) and ancillary services (including safekeeping and administration of financial instruments and foreign exchange services where these are connected to the provision of investment services). Cyprus is a jurisdiction with a solid financial services sector. Very much like the UK, Cyprus has strong regulations and more importantly strict customer protection rules. Cypriot Investment Firms (CIFs) are required to report their transactions to the local financial watchdog, the Cyprus Securities and Exchange Commission (CySEC) on a regular basis. Besides, CIFs must hold at least €730 000 as a proof of their financial stability and keep client funds in segregated accounts, separated from company’s operational funds. You can read more about CySEC here. The Dutch Authority for the Financial Markets (AFM) imposed an order for incremental penalty payments on FPlus Trading Ltd. (FPlus Trading). The order for incremental penalty payments was imposed because on its website (https://fplus.ai) FPlus Trading wrongfully states that it trades with an AFM license. This means that FPlus Trading misleads consumers and breaches the Consumer Protection (Enforcement) Act. The Netherlands Authority for the Financial Markets is the body responsible for regulating behavior on the financial markets in the Netherlands. This includes regulating the behavior of all parties involved with the savings, loans, investment and insurance markets. It includes regulating all organizations that provide financial products and those that issue products, including stock exchanges. According to its website, FPlus Trading is a trading platform where consumers can trade in currencies (including crypto currencies) commodities, shares and indices. The company says that it holds an AFM license for this purpose. However, FPlus Trading abuses the trade name and license number of an AFM licensee and thus misleads consumers. The AFM did not grant FPlus Trading a license. By means of the order for incremental penalty payments, the AFM obliges FPlus Trading to cease these acts and provide consumers with information regarding FPlus Trading that is correct and not misleading. FPlus Trading will be obliged to pay a penalty if it fails to comply with the order within five working days. The penalty amounts to €5,000 for each calendar day FPlus Trading fails to comply, subject to a maximum of €50,000. FPlus Trading failed to comply with the order (in time) and must, therefore, pay a penalty. The regulator explains that an order for incremental penalty payments is an instrument that is used to instruct or order a company or person to perform or cease performing a certain act. A specified amount of money must be paid if the order is not complied with within the term set.